The young author, Anamika Mishra, was born and raised in Kanpur, Uttar Pradesh (known as the Manchester of North India). She is presently working as a writer for several communities and websites. Her debut novel, Too Hard to Handle, was released in July this year. Hi Anamika, please tell everyone a little about yourself. Anamika: My name is Anamika Mishra. Writing is my first love, second is travelling and photography. I have done Bachelors in Computer Applications and Masters in Journalism & Mass Communication. Too Hard to Handle is my debut novel. I am highly spiritual and believe in miracles. I am an animal-lover too, especially dogs. I am an active member of ‘People For Animals’ NGO, in India. I love interacting with people from all across the world and inspire them to live with a positive perception. Anamika: Well, I remember when I was in class six while reading Heide by Johanna Spyri, I went near my mom and said that I want to write a novel just like this one. I think that was the time when I was being bitten by a writing bug. General fiction and fantasy are my kind of genres. Anamika: I have a dream to write at least one novel of each genre. Readers, please keep on supporting my goal and I promise I won’t let anyone’s expectations down. 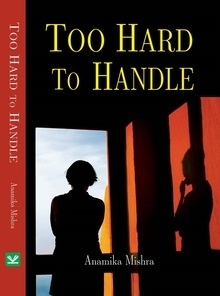 Anamika: Too Hard to Handle is a stand-alone novel. It is about a girl named Anushree, who is happy-go-lucky in nature. It is about what a common girl faces during her college and school life, series of misunderstandings, betrayal from friends, innocent crushes, stupid decisions etc. till she finds the love of her life. It is also about how fate turns up out of the blue and changes one’s life forever. Anamika: I first try to decide how the lead character would be and then I create the plot and other characters accordingly. Anamika: Vivaan. He is a ‘Mr. Perfect’ kind of a guy. People, especially girls, would love him for his small, lovely and romantic surprises, his behavior and his personality. Anamika: No. I don’t have any specific technique to maintain the course of the plot. I like keeping it simple and try to maintain the interest by adding some ‘wow’ and ‘aww’ moments in it. Share the best review that you’ve ever had. Anamika: Best review was given to me by my mother, she said “this story is really inspiring and she never thought that I would be able to write such a deep and intriguing story. I am really proud of you.” And she hugged me tightly. 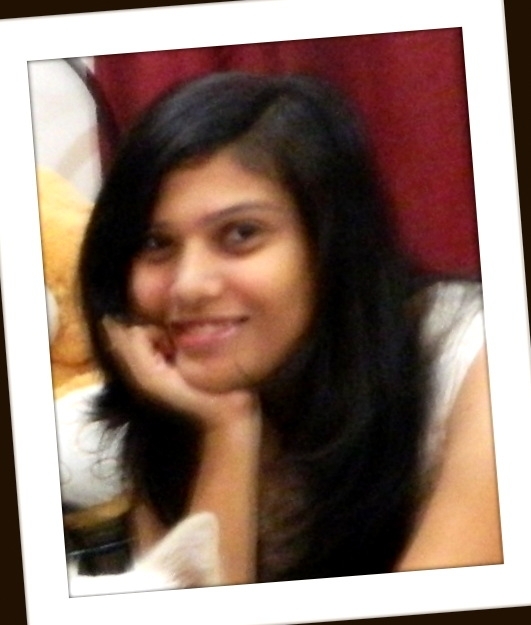 Anamika: I am presently working on my second novel. Anamika: All folks can directly connect with me on twitter ( www.twitter.com/anamikawrites ) which I think is the easiest way or on facebook ( www.facebook.com/anamika.mishraa ) or they can get in touch by sending an e-mail to me on mail@anamikamishra.com . I shall be highly obliged in hearing something from all the readers. Thank you for joining us today, Anamika. Anamika: Thanks for the questions. Gunnar C. Garisson is an old soul, warrior poet living well out of his time. He spends his days fiercely defending his family from all manner of threats and demons that probably do not even exist, while expanding his practice of writing fiction, music, and the fine art of mead making. Hi Gunnar, please tell everyone a bit about yourself. Gunnar: First and foremost, I am a husband and a father of two wonderful children. I am an Engineer and General Contractor by trade who has recently shifted careers from running my own remodeling company and working with various Engineering and Surveying firms as a consultant, to freelance writing online and writing Science Fiction/ Fantasy novels. I suffered a bad accident on a rooftop that rendered me unable to continue in my previous line of work, but gave me all the excuse I needed to start writing full time. Using a wealth of life experience and related knowledge, I’ve been fortunate to have an arsenal of fuel for the creative fire at my disposal. It’s as they say, when God closes a door, he often enough opens a window, and what a glorious window indeed! I have always felt the compelling need to vent my creativity publicly, and did so mostly through my crafts, such as music, custom woodworking, martial arts and sword making, as well as the brewing of fine mead through the refinement of an Old Norse recipe that has been handed down for generations. Though I am truly a starving artist in a very literal sense, I am finally able to dedicate the time I never had to pouring the vast reservoir of creative energy inside me into a new vessel: my new Science Fiction/ Fantasy trilogy. Gunnar: For me, it’s always been about Sci/Fi and Fantasy writing. I grew up obsessed with life outside of this plane of existence, and looked for any and all means of egress one could drum up at an early age, never really feeling like I truly belonged here. Playing many different RPG’s at a young age led to the writing of content and scripts for gaming, then was followed immediately by the outright designing of whole worlds and characters, many of which are still alive and well, living within my stories…. Gunnar: I am currently starting work on Book III of an epic Sci/Fi Fantasy Trilogy that stemmed from my debut novel, Critical Mass. The sequel, Planeshifters, was just released as an eBook and both are being typeset for print as we speak. Gunnar: As an Engineer, my mind is always on the lookout for problems and their potential solutions. That being said, it didn’t take me long, living deep in the concrete jungle of the Greater Seattle area, to foresee an overpopulated world where the quality of life for our grandchildren suffers for the lack of planning in our and our parents’ time. Living on the cusp of homelessness since my accident has also given me an intimate perspective as to the ostracizing of the poor by the rich, and where the future of that phenomenon lies as the middle class is slowly eradicated and the sociological plot thickens. This very possible reality is the setting for the beginning half of the first book, however, where it goes from there is the product of several recurring dreams from my youth, as well as the influx of my overactive imagination and quite a bit of self indulgent, dark humor. Gunnar: I would say Kaitlyn or Sky, as she’s called later; a very strong, yet unmistakably honest and sensitive warrior who is caught between worlds trying to find her true place alongside her soul-mate, Thorsson Krey, who has known her in two separate lives, witnessed her losing her parents in both, and also strives to redeem himself from the dark past he emerged from to be worthy of such a woman. She is wise beyond her years, empathic, a leader, and nearly unstoppable in a fight (yet unseen by everyone else, she is very frail at the core and needs him more than she will admit). Gunnar: This being a very complex, multi-faceted and nonlinear timeline type of story, that is a very tough question. I’m glad you asked it. Ritalin! Wait, that’s not really a technique& Well, for a start, I only write in the wee hours of the morning. About 3 am every day is my starting point, mainly because I have no office, and that is the ONLY time that it’s even remotely quiet around my place! I used to keep tons of outlines, but in the end I just found myself pouring over them repeatedly without any obvious benefit over merely setting myself up with a “zero distraction” atmosphere from which to collect my thoughts. Most of my stories have already written themselves within my mind, been daydreamed about repeatedly, and are simply inside my head waiting for me to yell, “Single file!” The rest of the details come out as I go, which is what makes writing so exciting for me! Gunnar: I am definitely a child of the cinema, so for me, a book needs to flow like a movie. If a movie stalls and loses my interest because of a ridiculously long part that has no driving effect on the story as a whole, then I get out of my seat, go get popcorn, get distracted by shiny objects, start a conversation with the ushers, then eventually forget what theatre number my movie was in, and leave unfulfilled. Many books are set on the coffee table and never picked up for this very same reason. I look at all of my sections in a story as if they were scenes in a movie& I actually visualize part after part, building the entire novel up in my mind as if it was a movie prior to writing down anything. This has led to many on the job injuries, many bumps and bruises, lost objects, and two completed novels! Gunnar: My environment colors my work right into the Rated R section, posthaste. While I wouldn’t dream of being pretentious enough to use profanity merely for shock value or vulgarity merely for the sake of being vulgar, I am a staunch advocate of non-censorship and honesty on every level, especially art! I would no more censor my art as censor my own thoughts, as to do so is to live some kind of a dishonest existence, or “half-life.” The world I live in is hard, and so are many of its inhabitants. The colorful depiction of this same place, nearly fifty years from now, is even harder. Harsh language is rampant in our urban dialect even now, but after rampant overpopulation bringing on a swift decay in the sociological condition on Earth, mainly in the big cities where people are already pretty intolerant, this is likely to get nothing but worse. That being said, I consider the profanity that arises in much of the early dialogue in Book I of my series to be nothing but brutal honesty. My intimacy with this environment only serves to make it more genuine. This is the world I have lived in and continue to endeavor to break free from; it is not contrived or manufactured in the least. Gunnar: The books are very new, so there really haven’t been many reviews yet, but a purchaser on Smashwords named “carolina63” wrote the following about Critical Mass and gave it a five out of five star rating! Garisson has made a Sci-fi book seem a reality. This book makes you visualize what you are reading as if watching a movie. The language is a bit ‘iffy’ for those of us not accustomed to it. The read was worth it! The bonds between friends comes together with an interesting love story. I do hope there will be several sequels. Garisson is a top notch writer! Gunnar: I am currently working around the clock to prepare both books for printing for inclusion at Comic Con Dubai in April, where my extremely talented cover artist, Remy Francis from www.rembrandz.com will be showcasing both of our works to tens of thousands of Middle-Easterners. I’m very excited! It is a rare opportunity that I am honored and privileged to be a part of! Gunnar: My author site, www.gunnar-garisson.com is under construction but will be back up within a few days to a week. I always pre-release previews of my novels on HubPages at: http://shape-shifter.hubpages.com/ chapter by chapter, with a clickable, user friendly Table of Contents from which to browse. 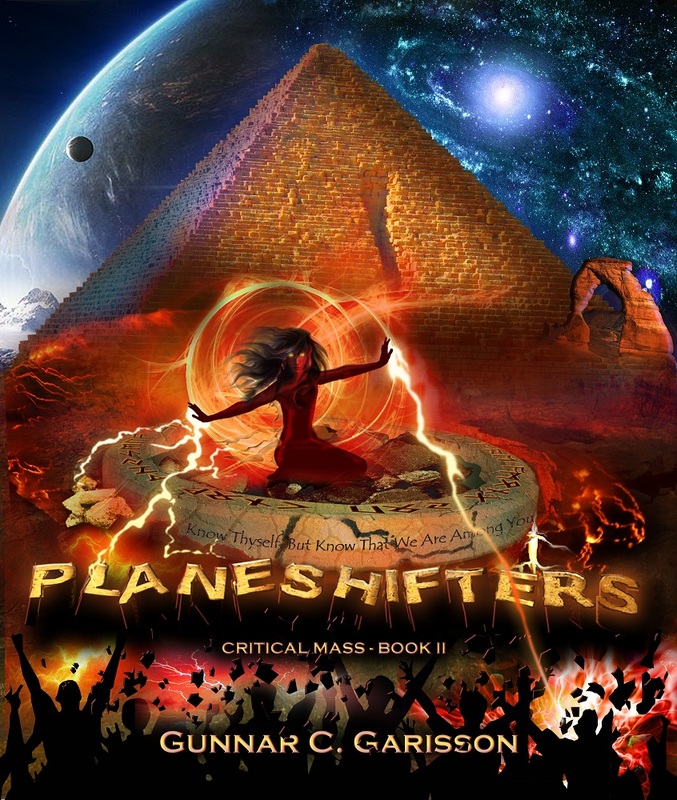 The first two books in the Trilogy, Critical Mass and Planeshifters, are published as eBooks at: https://www.smashwords.com/books/view/49222 and https://www.smashwords.com/books/view/136124 respectively, and are downloadable in any eReader or on screen format available. 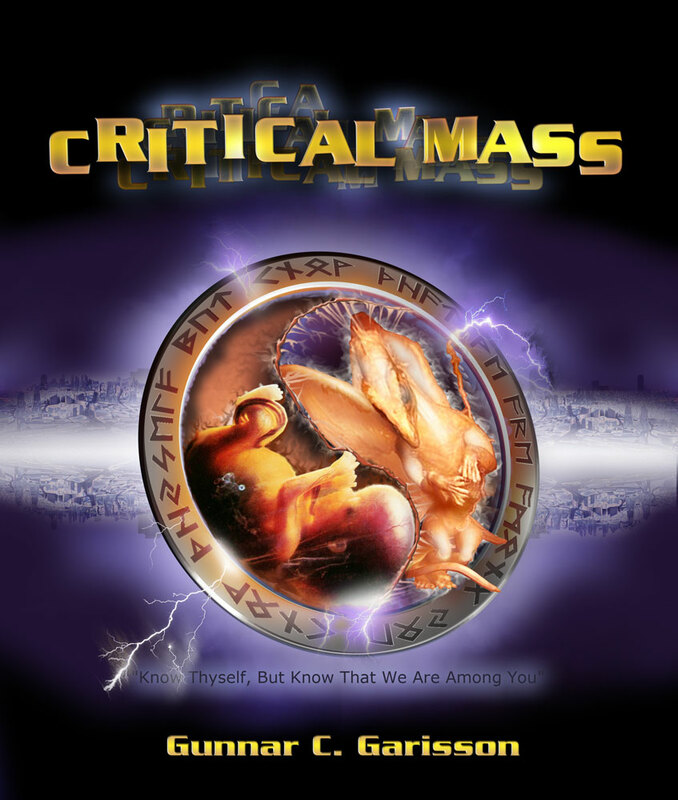 Critical Mass is already available at Barnes and Noble, Sony, Apple’s iBook store, and many, many other retail outlets, very soon to be followed by Planeshifters. Both titles are being typeset for print and will very soon be available on Amazon.com and many other retailers worldwide. Thank you for joining us today, Gunnar. Gunnar: Thank you, Shelagh, for this great opportunity to be noticed! 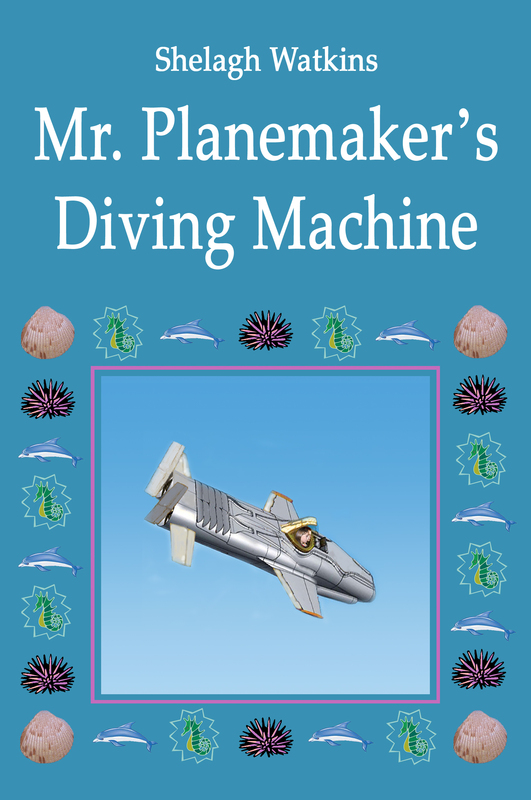 The sequel to Mr. Planemaker’s Flying Machine is now available on Amazon’s Kindle. I’ve had tremendous fun writing this book, the second in the Planemaker series. Dell and Emmelisa are put through their paces again when they decide to take on a gang of cyber criminals. They attend the Cyber Fraud Busters Institute, take scuba diving lessons and enrol on a course at the School of Aquatics to train to become submersible pilots. With all the training behind them, they set out on their next mission: to fish out the cyber criminals. This adventure is action packed from the start with never a dull moment for the two young Planemakers. It’s also full of information about cyber crime and how to prevent it. Learning has never been so much fun!